I really like the presentation of this game but unfortunately I don't have the playing pitch board - have you got one to sell? 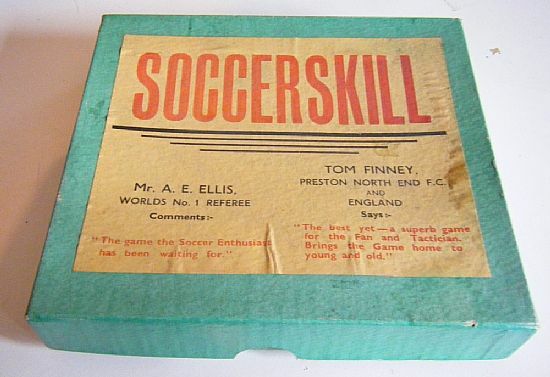 Endorsed by Arthur Ellis and Tom Finney no less. Nice classic fifties box design. No board unfortunately. A beautiful set of two teams nicely moulded in bright colours. Top work. 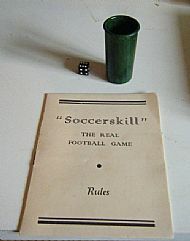 The rulebook (which I've never read!) and the ubiquitous dice and shaker. 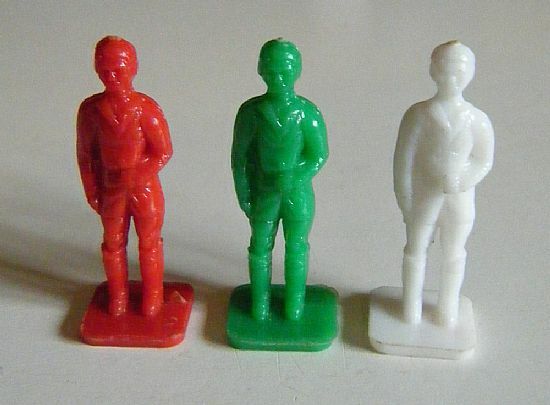 A close up of the figures. No crazy action poses just quiet elegance.